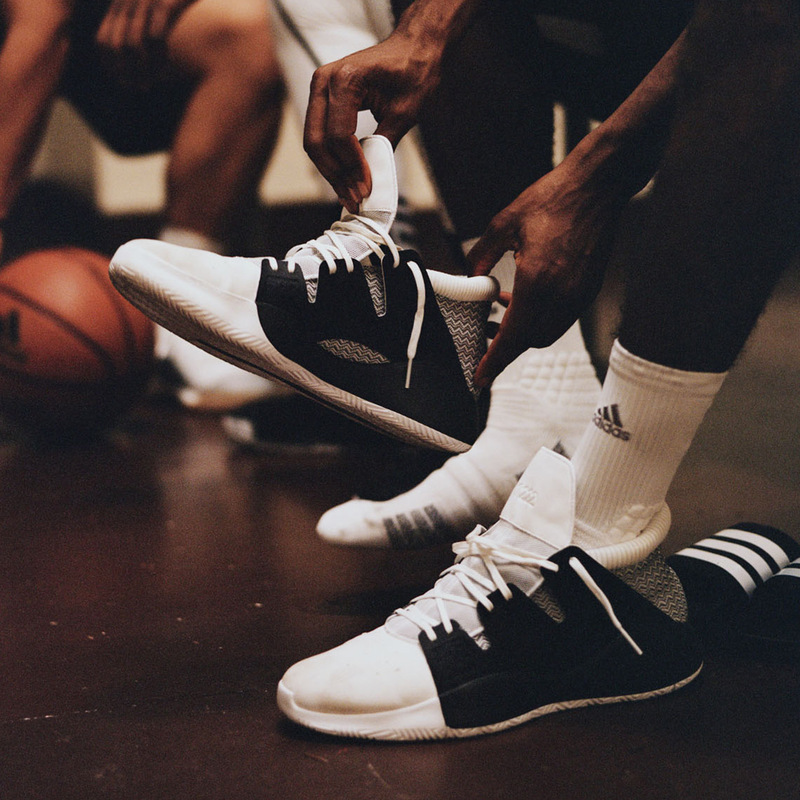 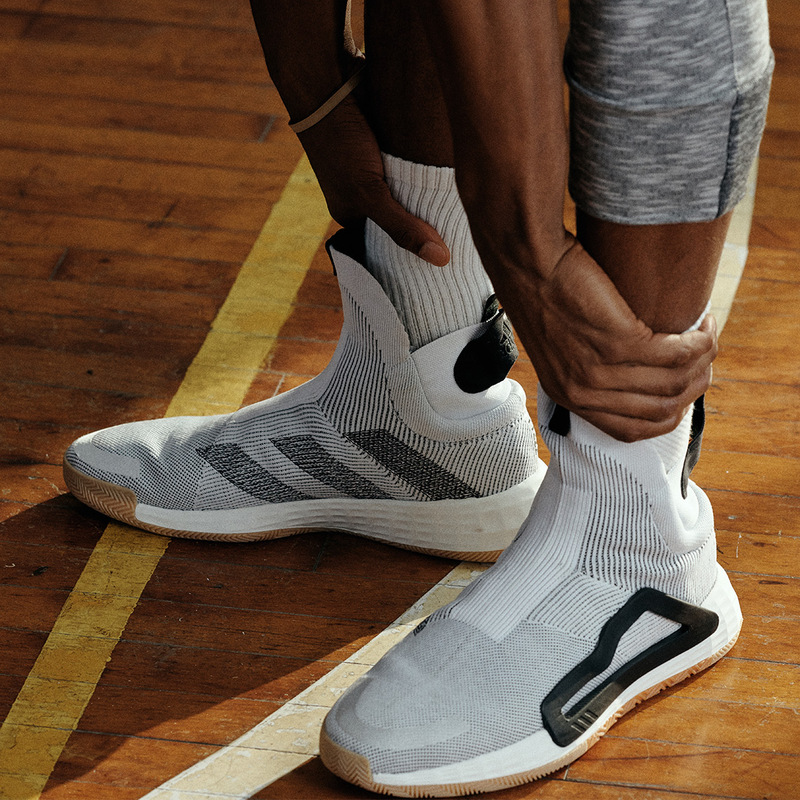 adidas has officially unveiled its newest wave of basketball performance footwear designed in collaboration with the Brooklyn Farm, the creative studio space located at the borough’s Navy Yard in Clinton Hill. 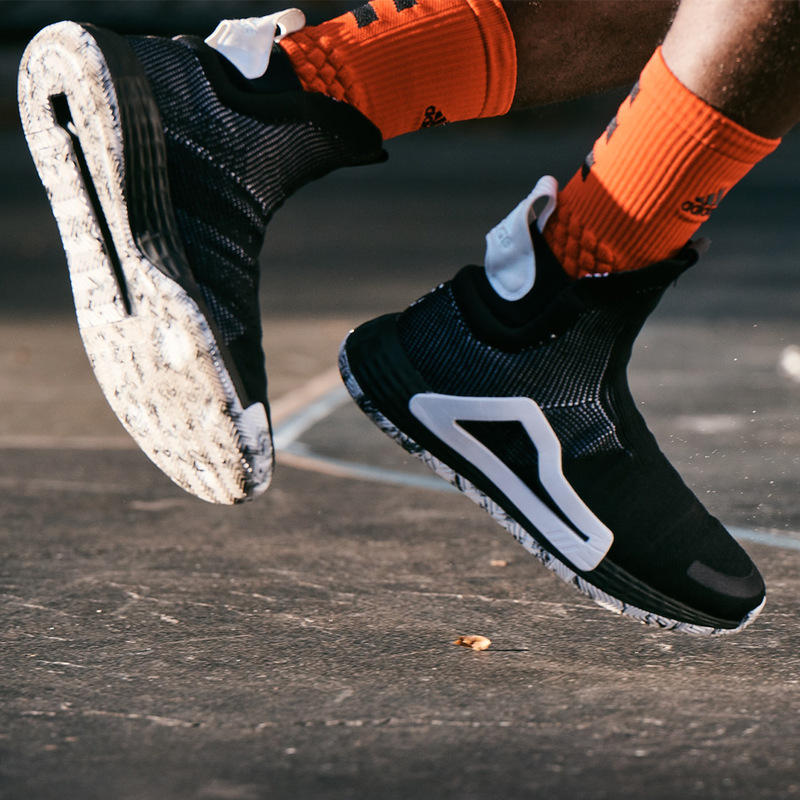 Three new models have been revealed – the N3XT L3V3L ($180), which utilizes the all-new Lightstrike cushioning platform, the Marquee Boost ($130), a super-comfortable performance model inspired by past designs, and the Pro Vision ($100), which utilizes full-length Bounce and a rip-stop midfoot cage. 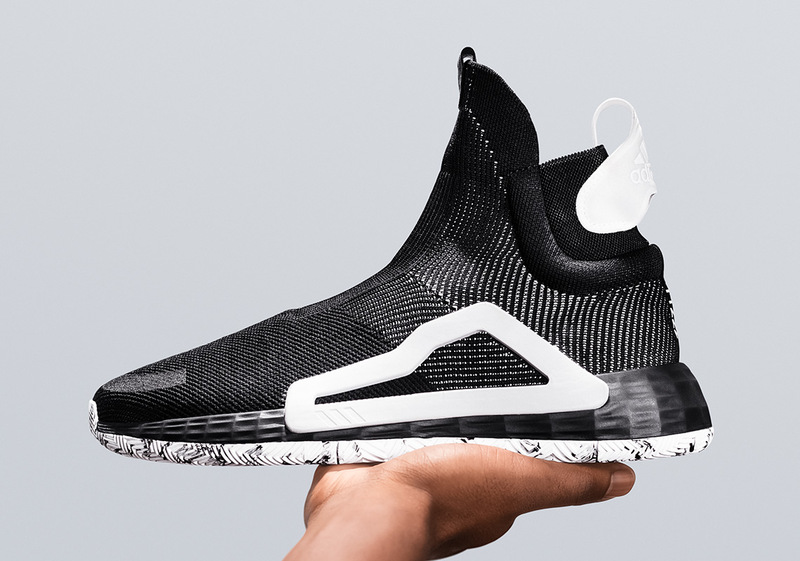 The N3XT L3V3L was originally revealed at the 747 Warehouse during All-Star Weekend, enticing fans with its laceless high-top Primeknit upper and exterior piece on the lateral side of the shoe. 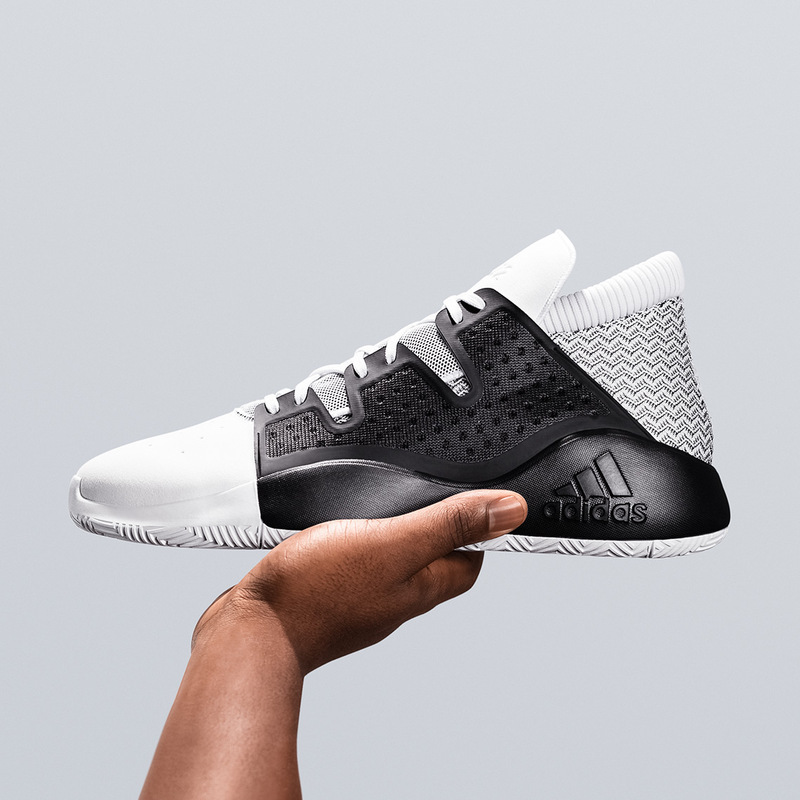 This electrifying silhouette boasts a new Lightstrike cushion platform above a full herringbone traction. 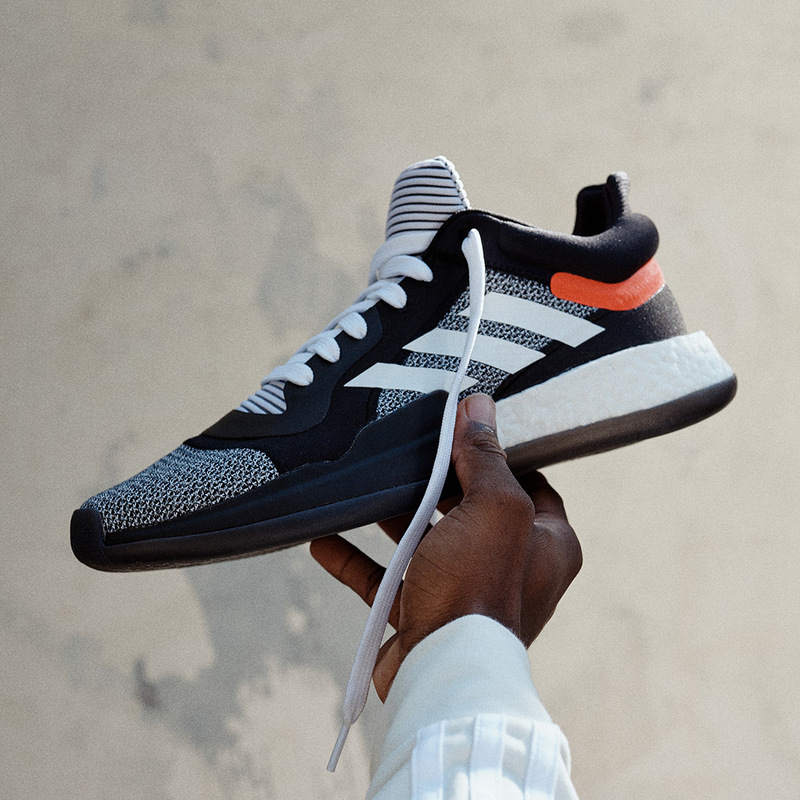 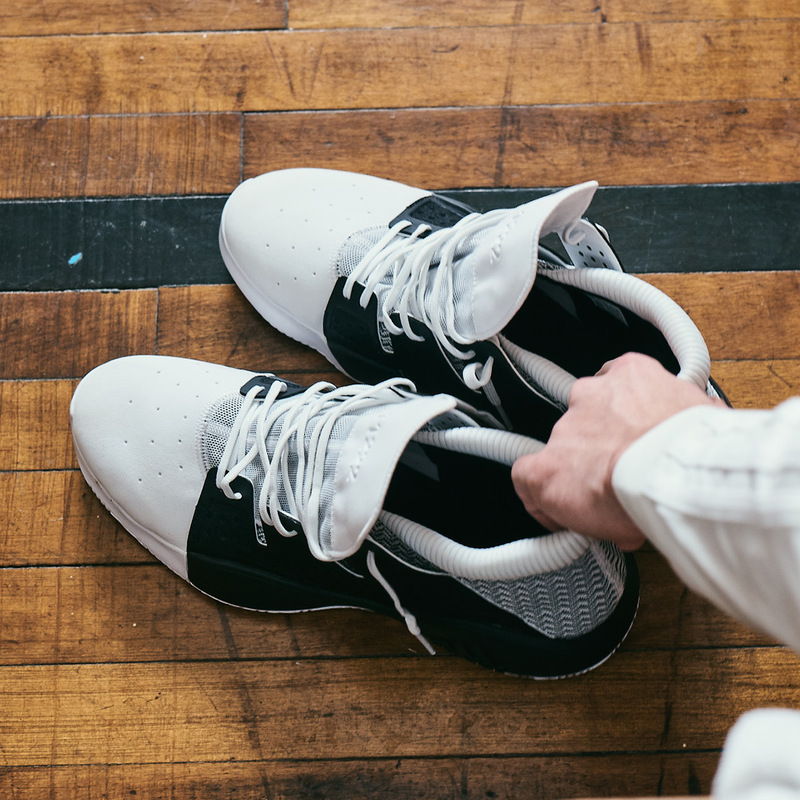 The Marquee Boost draws in elements of the Top Ten with the molded heel, but maintains the current standards of comfort with Boost, amounting to the most comfortable shoe offered by the brand. 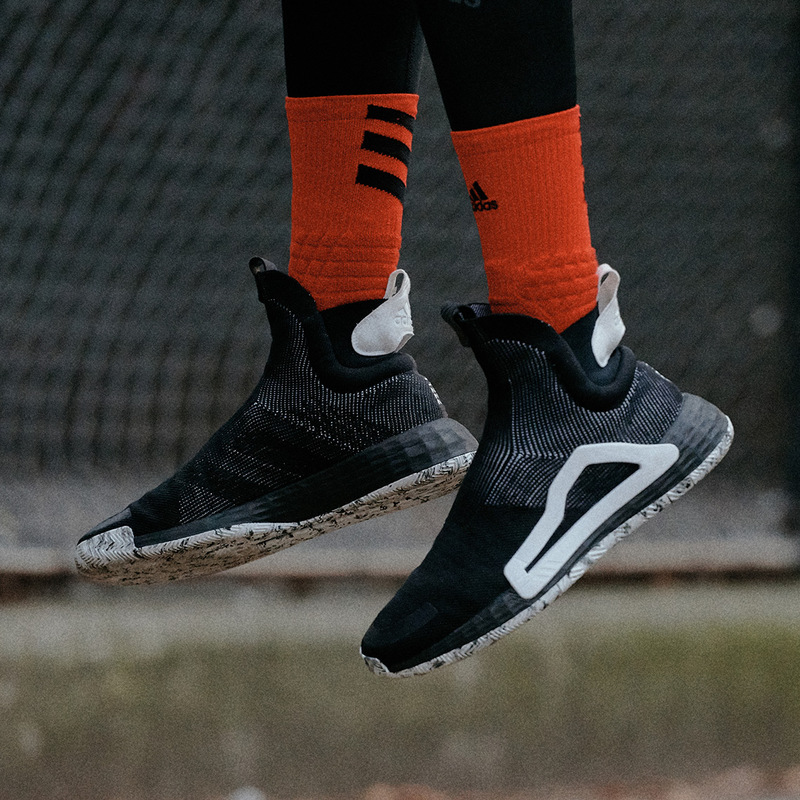 Finally, the Pro Vision has some strong EQT vibes based on the rip-stop cage, while the full Bounce cushion delivers proven response and stability. 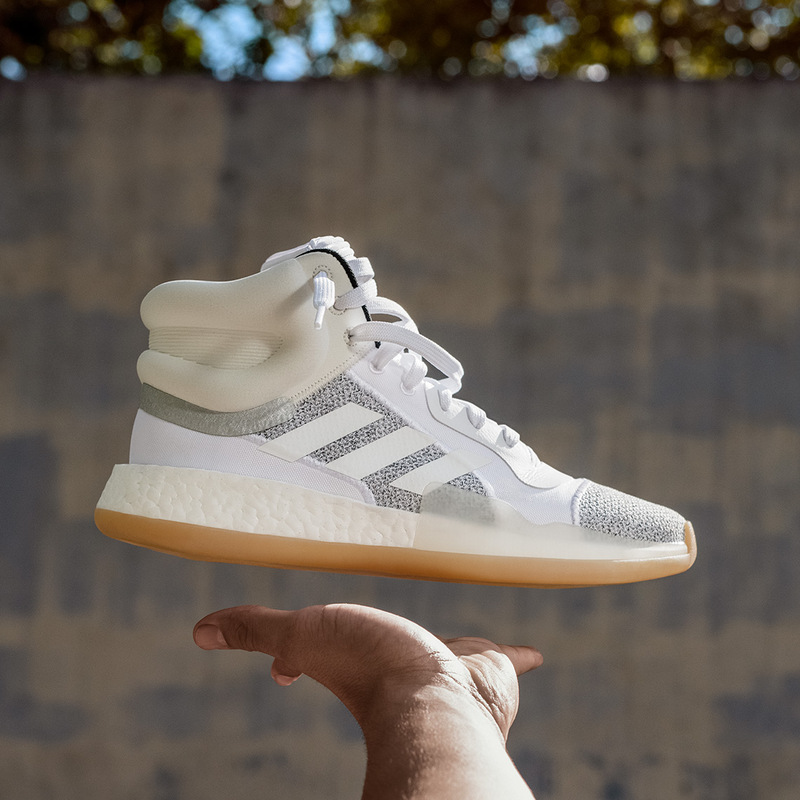 All three silhouettes will be available on December 1st, 2018 during a 24-hour window on adidas.com. 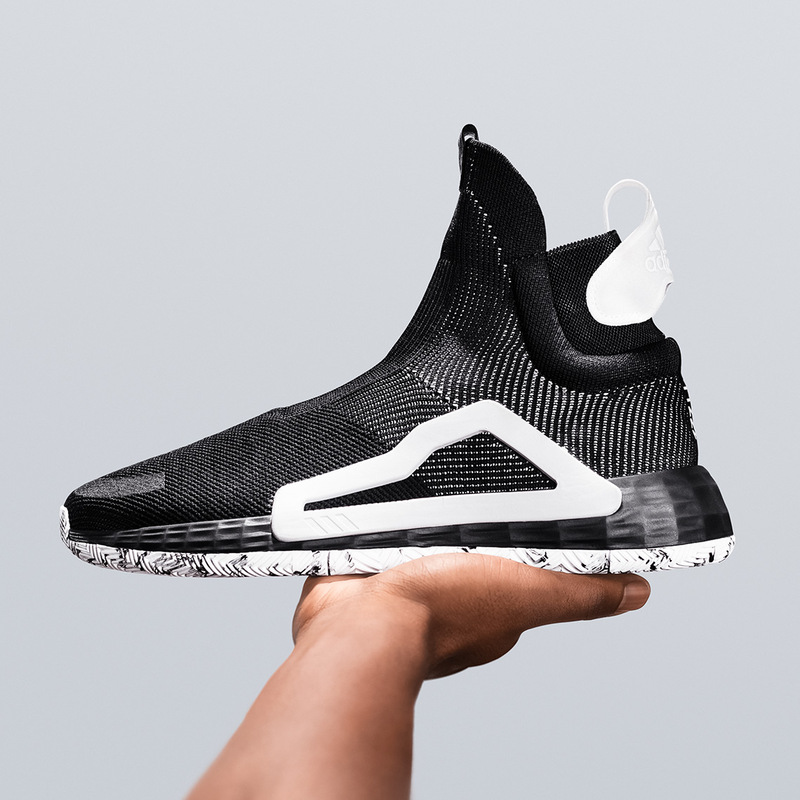 The Pro Vision and Marquee Boost will release again on December 2nd.